For Thanksgiving, we have a years old tradition of going to our aunt’s house to celebrate. However, this year I have decided to make two deserts, chocolate cheesecake and chocolate delight cake and I will share the recipes for both. I tried to make substitute Splenda for sugar since we have a lot of diabetics in the house with genetic carotid artery blockage. Hence, I also have to find fat free alternatives as well. Hope you enjoy the diabetic friendly recipe. *Please note that the splenda from cheesecake was added was added one spoon at a time just to make it sweet enough for my family who eats very little sugar. You should add to for your taste-bud. Everyone loved the cheesecake and asked for the recipe so I guess it was a success. It was a trial and error. I always have to experiment because of because special dietary needs of my family. Place butter in medium microwave-safe bowl and heat until melted. Stir in water crumbs, sugar, and cocoas, blend wells. Press mixture onto bottom and 1/2 to 1 inch up side of springform pan. Stir in cocoa until smooth and set aside. Beat cream cheese in large bowl. Add cocoa mixture; beat well. Gradually beat in evaporated milk, splenda, until smooth. Add eggs and vanilla; beat well. Pour batter into on top of crust. Bake 1 and 10 minutes or until set at 300 degree F (Center will be soft). Remove pan from from oven to wire rack. Cool and remove from spring from. To serve garnish as desired. 12 servings. Refrigerate leftover cheesecakes. 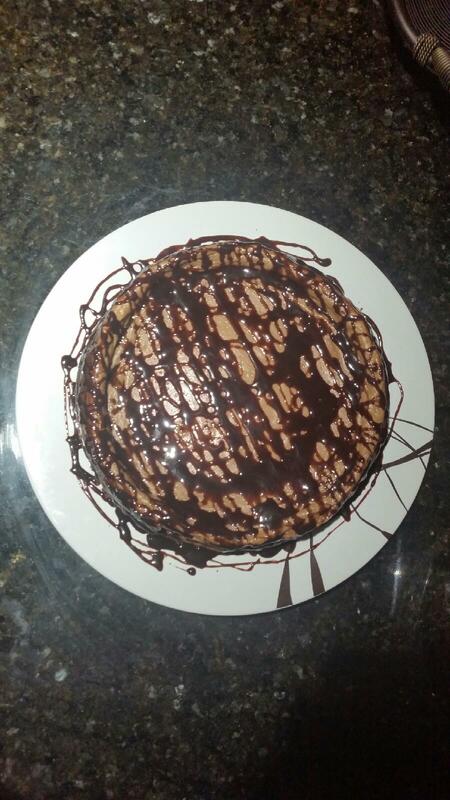 This entry was posted in Recipes and tagged Chocolate cheesecake, Diabetic Friendly, Fat Free by allaboutme31. Bookmark the permalink.